Track your blood sugar levels with your smartphone. Track your blood sugar levels with your smartphone. iHealth Align is a glucose meter designed for diabetic patients. 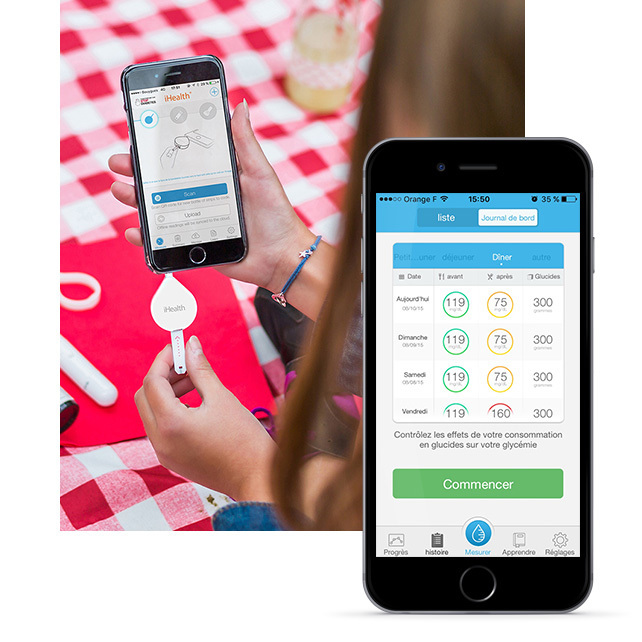 Plug it into your smartphone’s jack socket, measure your blood sugar levels and display the results directly on the iHealth Gluco-Smart app. 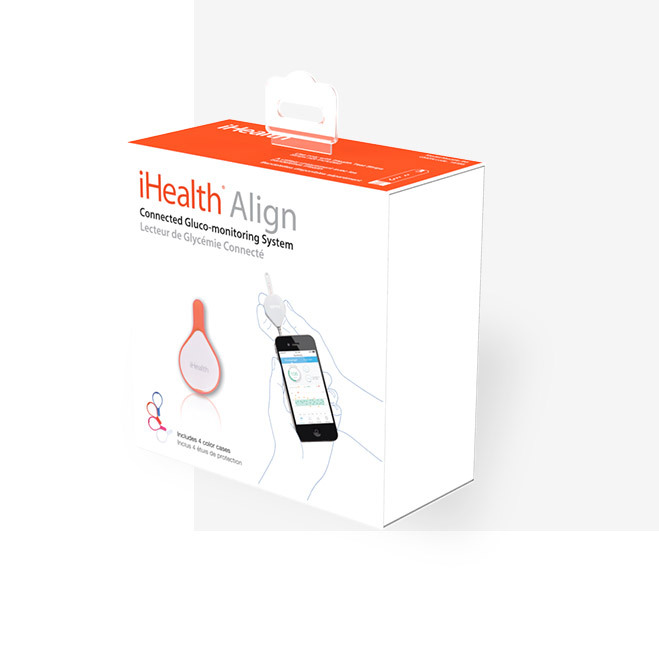 iHealth Align is an in vitro diagnostic* medical device. 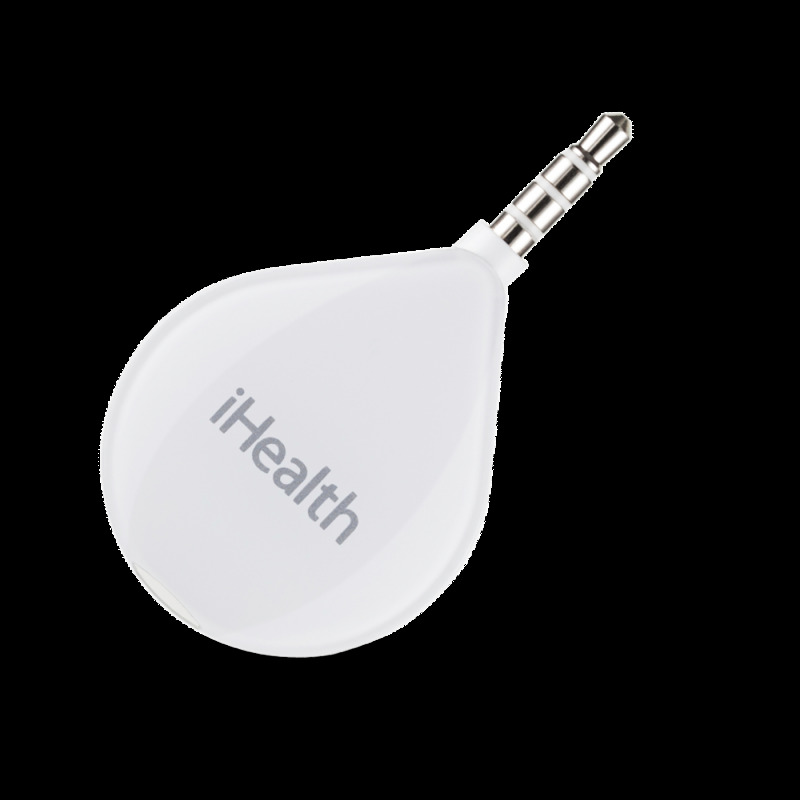 iHealth Align is a glucometer that you can carry anywhere. Connected to your smartphone via the headphone jack, a glucometer is for the self-monitoring of glucose levels for diabetic patients. It allows you to directly know your blood glucose levels so that you can control them and thus prevent imbalances and adapt your treatment. Change its color with the 4 colored cases included. 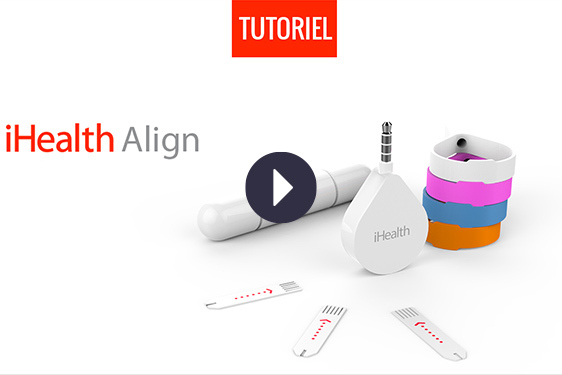 Connect iHealth Align to your mobile devices via its headphone jack and manage your results directly on the free app iHealth Gluco-Smart. The Gluco-Smart application automatically keeps a history of all your measurements, puts them in colourful graphs and allows you the possibility to share your progress with your doctor. You can also set alarms to better manage your diabetes. 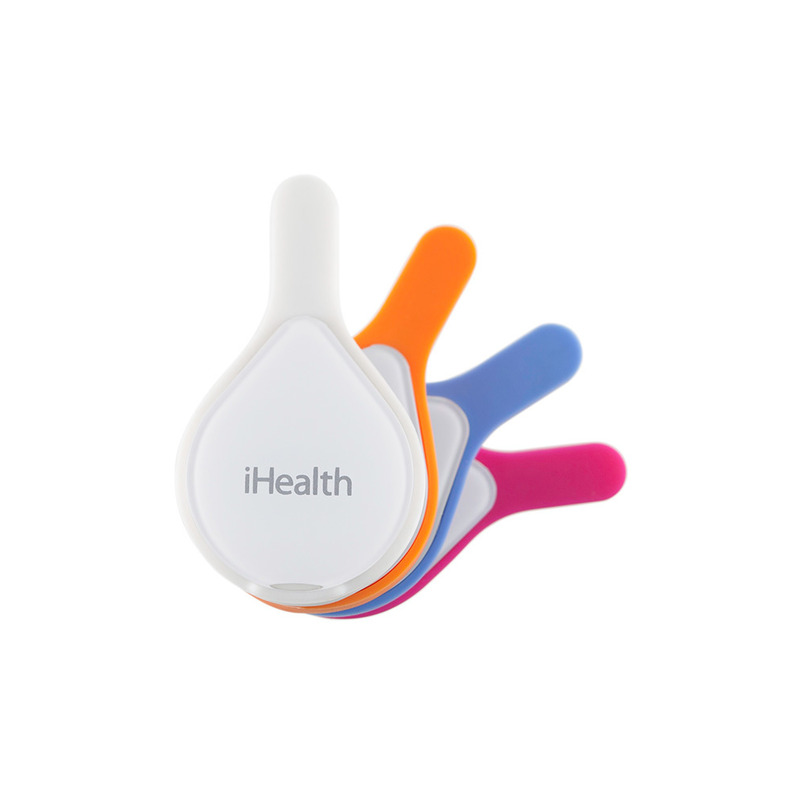 In the box : The iHealth Align kit contains a glucometer, 10 lancets, a lancing device, a carry bag, a quick starting guide, an instruction book and 10 protection covers for your smartphone. 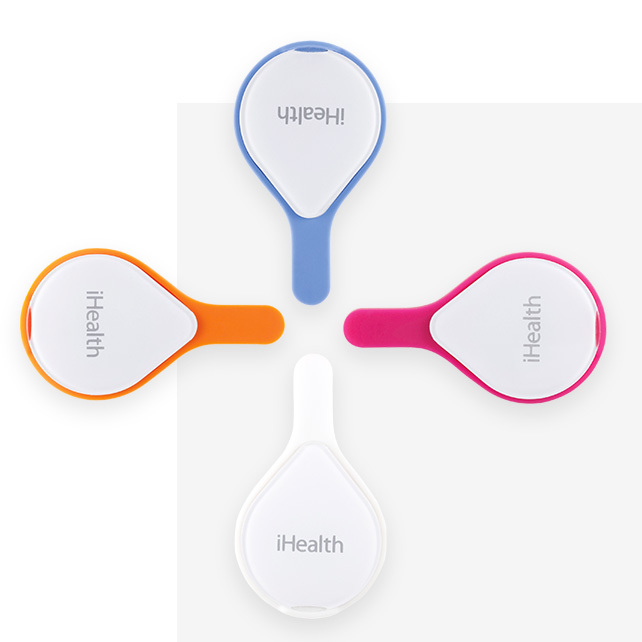 The iHealth Align (BG1) is a self-monitoring glycemic device for patient with diabetes. Self-monitoring of diabetes is used when it is likely to lead to a change in therapy; it must be systematic and multi-daily in type 1 diabetes and limited to certain patients with type 2 diabetes. It requires education with a healthcare professional. Please carefully read the instructions for use. In case of a discrepancy between the results and your current health condition, please contact your healthcare professional.The iHealth Align is an in-vitro medical diagnostic device. It is a regulated health product that carries, under this regulation, the CE marking. 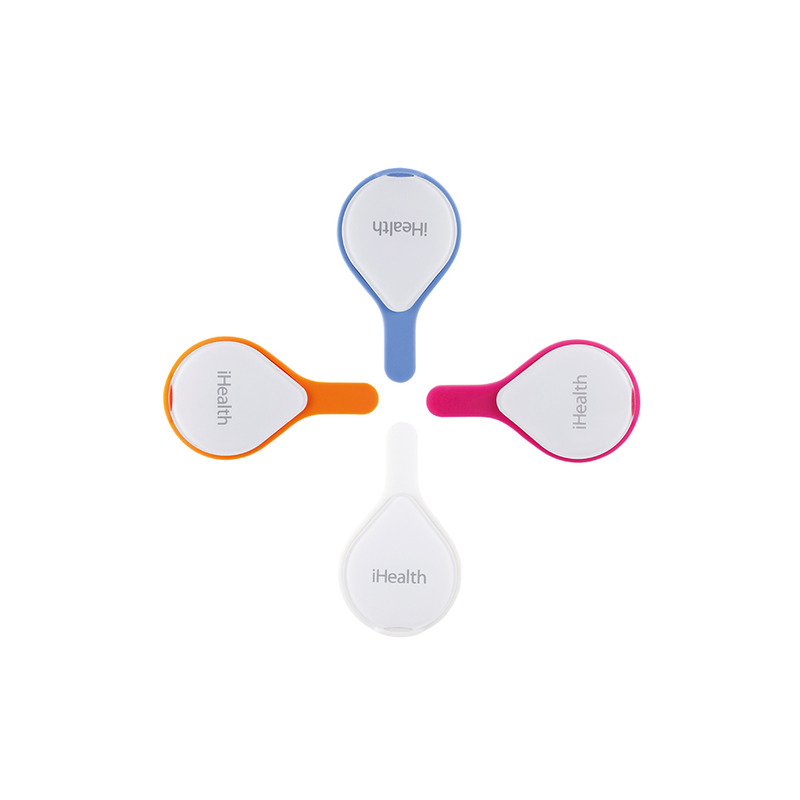 The iHealth Align is clinically validated according to the ISO 15197:2013 protocol.